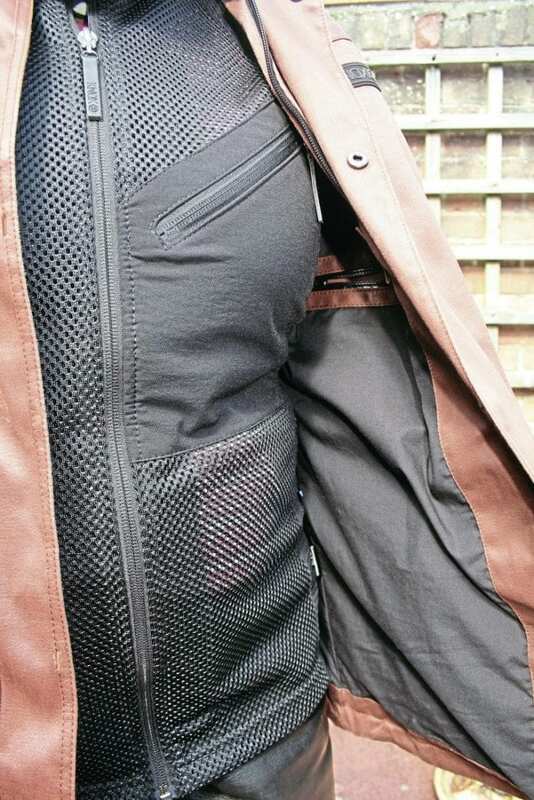 Knox offers a whole range of motorcycle clothing based on its layering system – armour is worn in a separate garment underneath an outer jacket, which can then be worn on its own when off the bike. Knox reckons the armour is better able to do its job when worn close to the body, as it can move about on impact if it’s part of an outer. The Leonard is ‘modern wax cotton’, which means it looks like one of the old school waxed jackets, but there’s no need to re-wax it as the waterproofing is taken care of by a breathable membrane and taped seams. 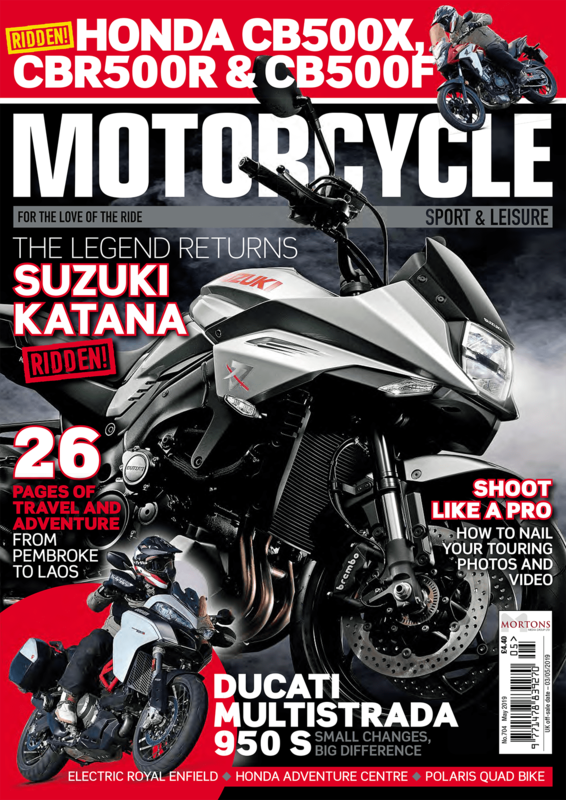 It’s certainly stuffed with modern features, having YKK Aquaguard zips, a removable throat guard (handy for when the winds blow cold) and a hidden draw cord to adjust the hem. The Urbane armoured shirt fits neatly under the jacket. As there’s no armour, it’s designed to be worn in conjunction with one of Knox’s armoured shirts, of which the Urbane is typical. 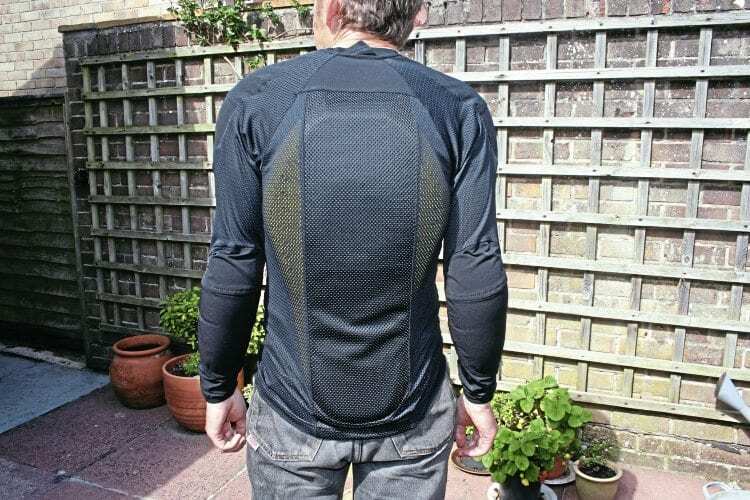 Made of arrowmesh fabric, it has Knox’s own Micro-Lok CE-marked armour on the back, shoulders and elbows, which can be removed for washing the shirt. Although designed to be worn under Knox jackets, you could combine it with any jacket that fits over the top, so if you’ve got an old favourite without armour, here’s a way to increase its crash protectiveness at a stroke. The Urbane is very well armoured. So far, the Leonard has been comfy in use. 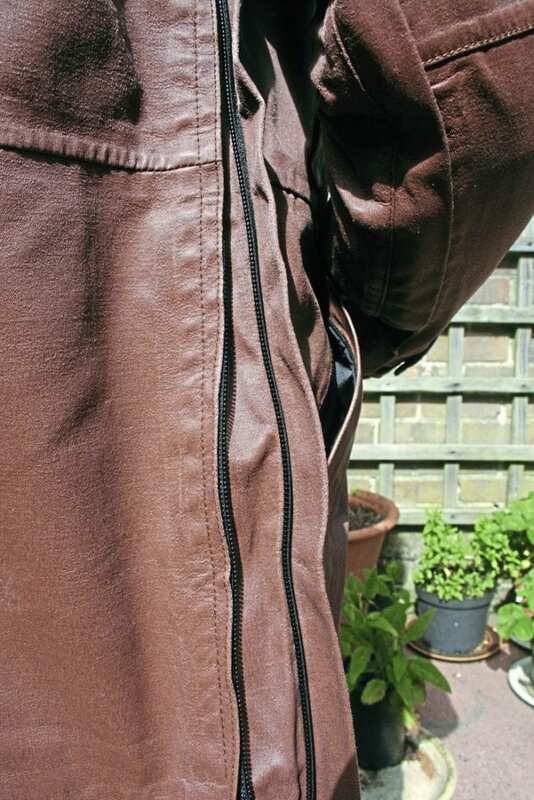 It has a ‘dual fitting system’ (marketing speak for two long zips that stretch all the way up each arm and down the side of the jacket), which releases an extra fold of material and makes space for that extra layer. The dual fitting system liberates an extra fold of material for more room. 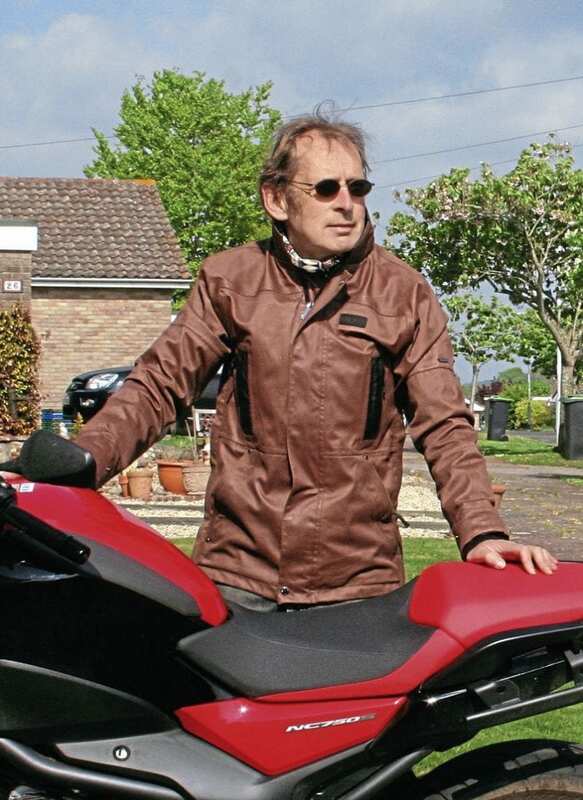 It’s got four big exterior pockets and one internal, and it is a pretty stylish item – it is the first motorcycle jacket of mine that my wife keeps asking borrow, and that says it all!